Specialty Orthotic’s technology focuses on a dynamic computerized weight bearing pressure/time analysis. From this information, an orthotic is then custom designed in our lab in Ajax, Ontario Canada to correct the patient’s abnormal foot function. 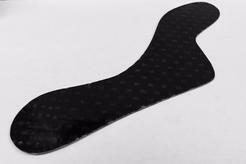 The orthotics are made from a proprietary blend of materials such as graphite, fiberglass, Thermoplastics and Polypropylene. Using these materials allows us to make the orthotic thin enough to go into several shoes while maintaining its strength and durability. One of the most gratifying aspects that our trained and Certified Specialty Clinicians see is so many patients who suffer from a wide variety of orthopedic complaints, such as knee and Hip Pain, recover completely after having the faulty biomechanics of their feet corrected. About 70 percent of all common foot pain, including osteoarthritis, is caused by Abnormal Biomechanical forces. And, just as faulty wheel alignment in a car can result in tire wear and tear, the abnormal forces due to Misalignment Affecting your lower limbs can cause early wear and tear in the joints of the feet. Foot problems can create havoc and pain in the entire body. However, with proper mechanical adjustments, like wearing custom orthotics further wear and tear can be prevented, and pain can be drastically reduced, or even eliminated altogether in many cases. 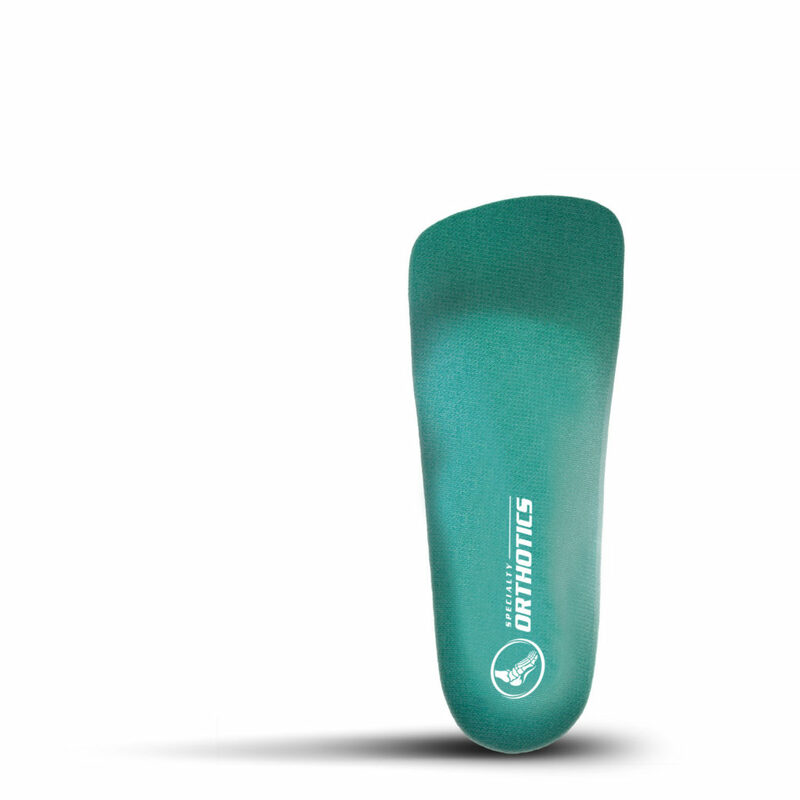 Specialty Orthotics technology focuses on dynamic computerized weight bearing pressure/time mapping. The acquisition and analysis of objective data relating to abnormal foot pressures and pathological gait episodes that occur when the patient is weight bearing, can be detected only by such sensor technology. The computerized mapping data can substantiate the abnormality of body weight distribution, which creates painful ambulation. It is the key for developing a treatment plan for multiple foot conditions, i.e. plantar fasciitis, unstable MPJ, shin splints, achilles tendonitis, chondromalacia patella, etc. It is a necessary aid in determining if orthotics are a necessary adjunct to our care. 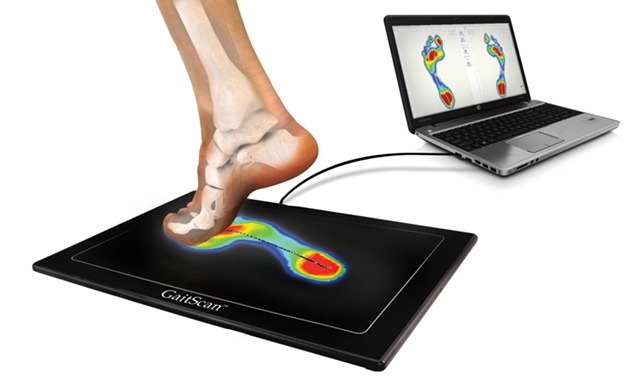 Every patient is scanned on our computerized pressure mapping system, which maps both static and dynamic weight-bearing foot function. The system analyzes the unique way in which each individual distributes their body weight, while either walking or standing and this distribution affects their entire body. The procedure is simple, non-invasive and clean. Compression stockings are elastic garments worn on the legs to help mediate a variety of symptoms. Unlike traditional socks or hosiery, these stockings are specifically designed to offer medical support via integrally-knit graduated compression. This therapeutic pressure is designed to be tightest at the ankle and gradually less above. By squeezing the leg in this specific way, compression stockings can provide a variety of health & beauty benefits. A Morton's Extension elevates and supports the first metatarsal head and first toe beyond the first metatarsophalangeal joint (MPJ), extending to the tip of the toe. These are most often used to treat hallux rigidus, turf toe injuries, bones spurs, or any limited motion of the first MPJ. Gel Pad Sleeves with soft, comfortable and stretchable fabric impregnated with a pad of proprietary polymer gel which slowly releases a medical grade mineral oil (USP) to soften and moisturize the skin. These are most often used to prevent friction between the toes or to protect corns on top of the toes. 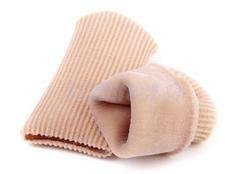 The Bunion Sleeve is soft against the skin, while the anatomically correct gel pad cushions the bunion joint. Designed to fit inside most footwear, gel bunion sleeve provides mild compression and instant relief from shoe pressure. Gel Hammer Toe Crutch works in three ways. 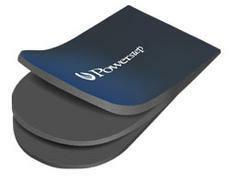 First it elevates to relieve pressure on sore toe tips by helping to straighten the toe. Second, it cushions the bottom of the toe, helping guide it straighter and more aligned to the correct placement of the toe. Third, it's also great for hammer toes or claw toes because it helps involve these toes in gait for improved biomechanics. 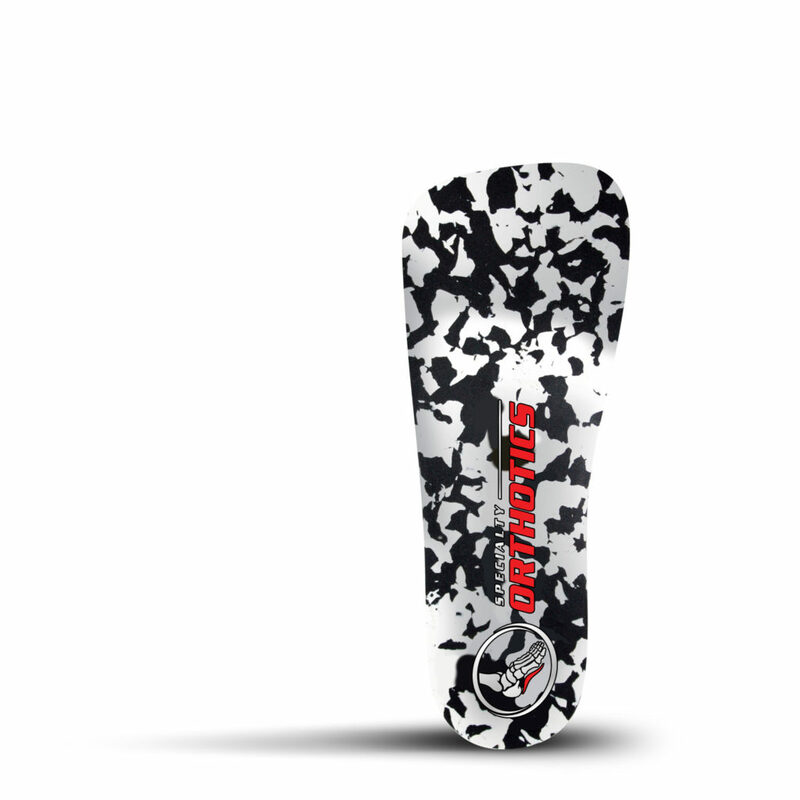 This is a Specialty Orthotic favorite. Baby Foot is an innovative foot care product that will make your feet as smooth and soft as a baby's foot. The unique formula of 17 types of natural extracts allow your feet to exfoliate naturally leaving them highly moisturized. This is a great product to get your feet ready for sandal season. 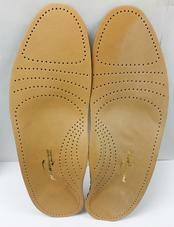 Our Dress Orthotics are a semi custom design made to specifically fit into narrow and tight fitting shoes. They provide great arch support and shock absorption for shoes that have little to no support in them at all. We offer these in conjunction with our custom orthotics to provide support for those days when you must wear a nice shoe for a special event or meeting. Adjustable Heel Lifts provide 1/8, 1/4, or 3/8 of an inch in heel lift with cushioned support that can flex under the pressure of relief. These are often used to treat achilles tendonitis or leg length discrepancies.